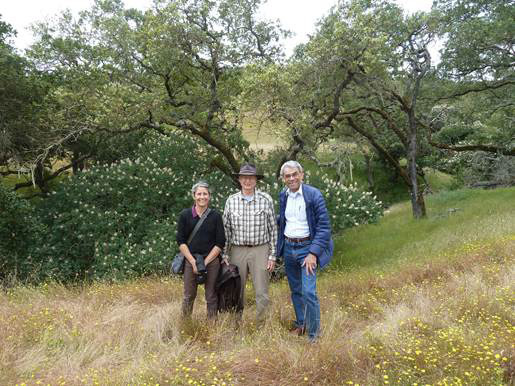 KCPP advisory committee on the Scott ranch site, left to right, Mara Guccione, Greg Colvin, and Peter Cohn. 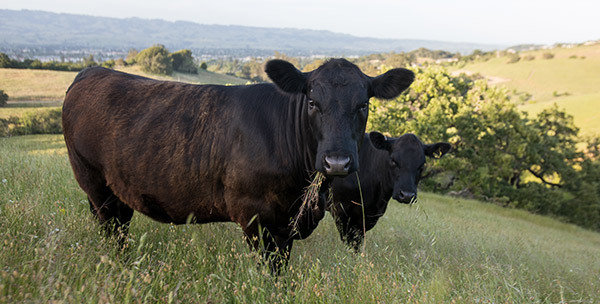 The mission of the Kelly Creek Protection Project (KCPP) is to support a community effort to protect the old Scott Ranch, a 58-acre parcel of land at the edge of Petaluma, California, from excessive suburban development. The property is a classic old ranch with threatened frog habitat, oak trees, and iconic red barns. The Project aims to expand the adjacent Helen Putnam Regional Park with a new trailhead for public access and preservation of the exquisite natural landscape, plants, and animals. The KCPP advisory committee consists of Mara Guccione of the Earth Island Institute, Director Greg Colvin, and community member Peter Cohn. Tamara S. Galanter of Shute, Mihaly & Weinberger LLP serves as legal counsel for the Kelly Creek Protection Project. To learn more about the history of Scott Ranch, see this write-up from the Sonoma County Public Library. The Kelly Creek Protection Project is a project of the Earth Island Institute. Earth Island Institute, a 501(c)(3) organization, provides fiscal sponsorship, resources, training, technical assistance, and peer relationships to environmental activists looking for an organizational home and institutional leverage for their work. Becoming a fiscally-sponsored project is a strategic decision the Kelly Creek Protection Project made to increase our effectiveness, organizational durability, and greater capacity to do our work. Earth Island leverages the power of a network of diverse projects, the invaluable knowledge and influence of renowned leaders in the environmental movement, and the track record of a 35-year-old organization and experienced staff. They are home to projects on the forefront of the environmental movement utilizing strategies that are responsive to the social, economic, and political realities of our time. KCPP would like to thank Paige Green Photography, Greg Colvin, Bruce Hagen, and Susan Kamprath for allowing this website to use their photographs of Scott Ranch free of charge.